It is time to start giving some serious thought to our next reunion. Any and all suggestions for are welcome. That doesn't mean we can do what everyone wants, but we can get some ideas about what the majority of classmates are interested in doing. 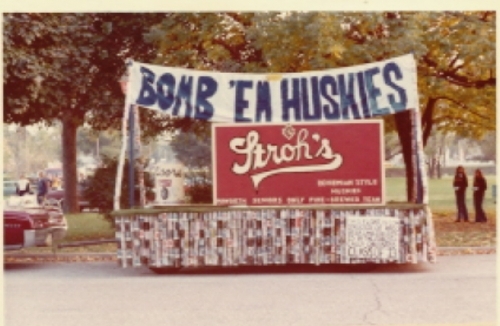 Be sure to go to the 40th Reunion page and give us your input. Your comments on this page will help us to decide what our 40th Reunion will be like. We want as many people as possible to attend, so what would it take to get you to come to the reunion? Remember, the more work you do on the reunion, the more input you can have. 1) Keeping in mind that it can sometimes be difficult to talk over music and DJ's can be expensive, Do you want music at our next reunion? 2) Do you want a meal served at our next reunion? 3) If you voted yes to the previous question, would you like the meal to be served buffet style or do you prefer a sit down dinner? 4) All of our previous reunions have been held in casual settings. Where would you like the next reunion to be held? I loved the Grotto, let's go back there. Highland Park, or anyplace where alcohol cannot be served. 5) Several of the Kokomo and Haworth classes have been having combined reunions. If we could work out the Logistics of such a large group of people, Would you like to try to have one big reunion with the Class of '73 from Kokomo? Absolutely. I am sure that in 40 years those Wildkats have become more tolerable. Who cares, I won't come no matter what we do. 6) We have had Friday night gatherings at some local watering hole the weekend of our previous reunions. Are you still interested in a Friday night gathering ? Yes. I had a great time at the Friday night pre-reunion parties. No. I think the Friday night thing is silly. I don't care what you do, I wouldn't come to a High School Class reunion on a dare. 7) Would you like to investigate the possiblitiy of holding something with other Classes from Haworth, like the Class of 74?